Fore more information about the Huf Generation 1 RDV Valve Stem, please click here. 1. Before inserting the valve, please ensure that the valve hole and the surface of the rim are cleaned and even to allow for proper sealing. 2. Insert valve through rim of wheel. 3. Insert metal rod into the side hole on the bottom of the valve beneath the rim lip. 4. Place washer over the top of the valve and then tighten the nut to 4Nm of torque. 5. Take screw and affix the sensor making sure the sensor is in full contact with the rim. 6. Tighten the bottom screw using a hex driver to 4Nm. 7. Install tire on the rim as directed for all TPMS sensors. 8. Tighten the valve cap to complete the process. We’re offering great deals on the Huf RDE001 (433MHz), RDE008 (433MHz), and RDE011 (433MHz) OE TPMS sensors. Supplies are limited! Contact us at Wholesale@TPMSDirect.com for more information! 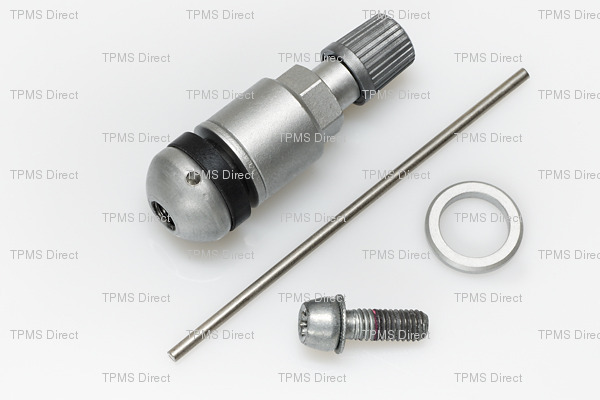 All Huf sensors include the GEN 2 RDV021 valve stem and service kit. 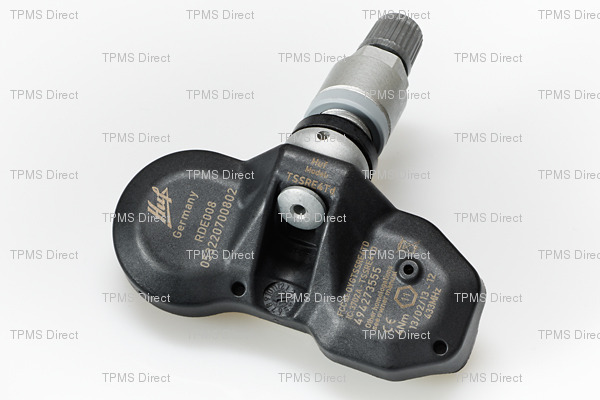 Huf has released its generation 2 TPMS valve kit. This new RDV valve kit will feature fewer components than its predecessor and is simpler to assemble. Bartec USA has released a software update for its Tech400SD tire pressure monitoring system repair tool. The Release 50 or “R50” update allows the Tech400SD to program aftermarket TPMS sensors. 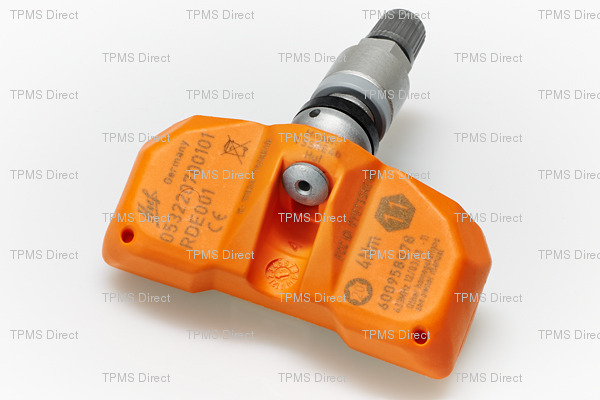 Aftermarket TPMS solutions manufactured by Schrader (EZ-Sensor), Continental (Redi-Sensor), John Dow (DVT Sensor), Orange Electronics, and Alligator can now be programmed by the Tech400SD thanks to the Bartec R50 software update. The software update also adds OBD relearn coverage for Ford, GM, and Volvo vehicles. Visit www.BartecUSA.com for more information on the R50 software update.